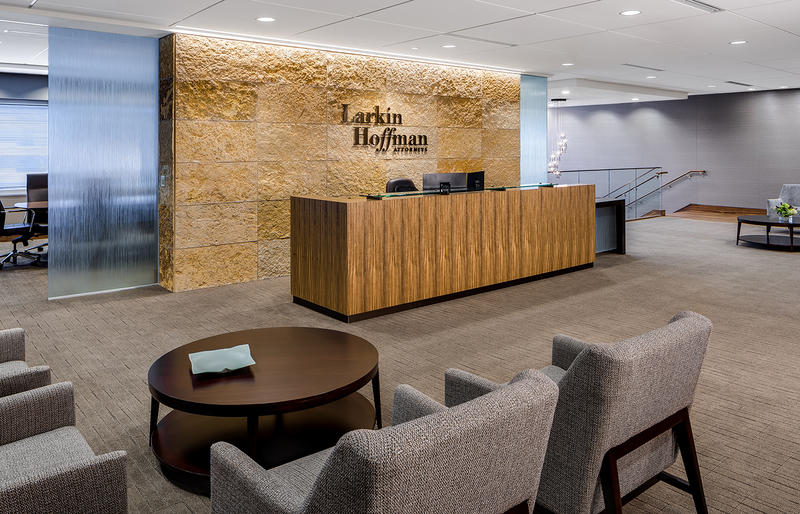 Larkin Hoffman Daly & Lindgren, Ltd.
Having spent over 20 years in their previous location, Larkin Hoffman was looking for a real estate solution that would better promote interaction among practice groups, build greater uniformity in workplace standards, and facilitate future flexibility. 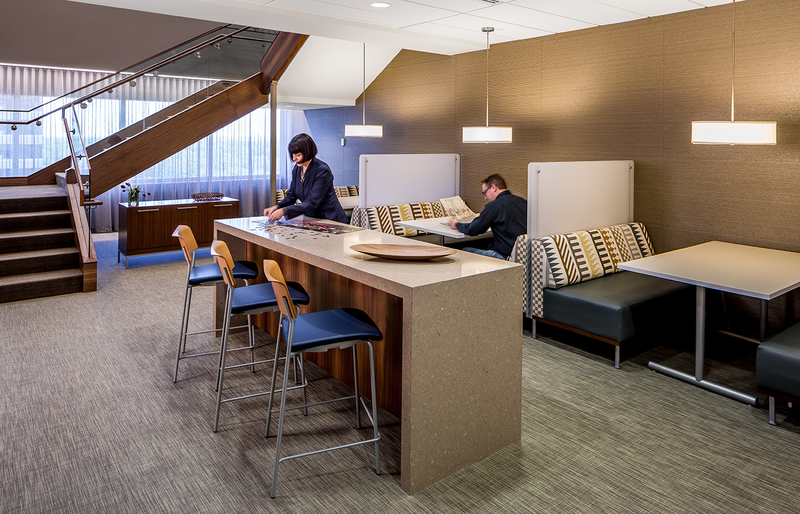 Studio Hive designed a fresh, cost-effective, and progressive office environment that embeds utility and function while enhancing the cultural experience and brand message. 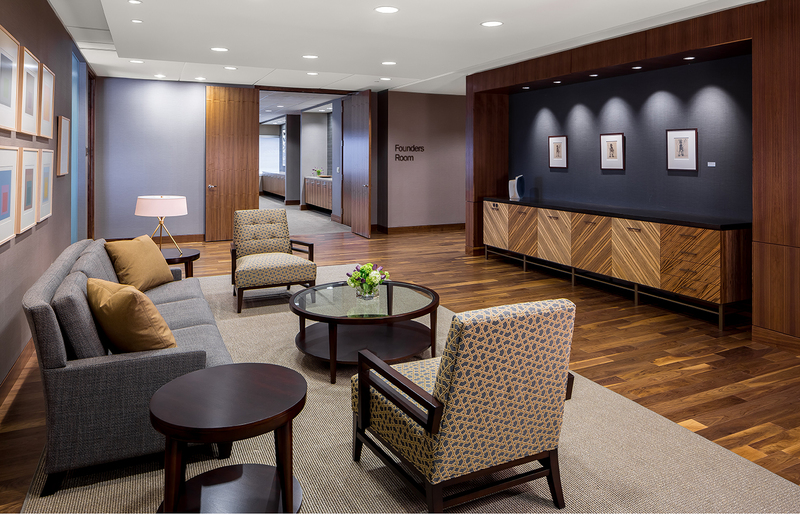 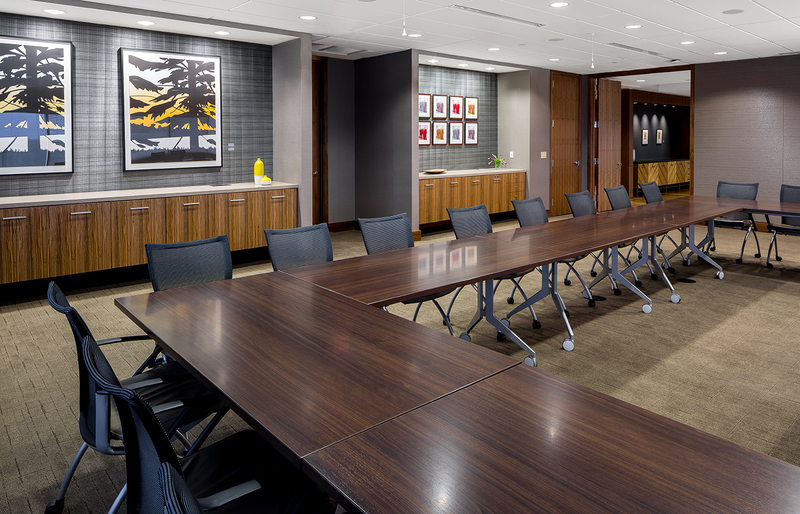 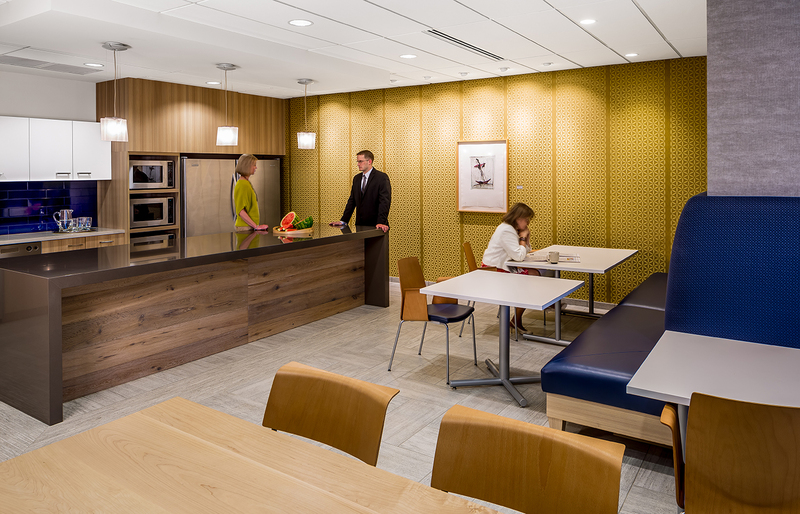 Client and employee amenity spaces strengthen engagement and interaction, and offer a top-quality venue for civic gatherings.